If you begin to experience any of the above symptoms or think you may have depression, talk therapy can be helpful, especially Cognitive Behavioral Therapy (CBT). If you are not familiar with CBT, you can read about the basic premise for treating depression, anger, and anxiety using CBT in this Post. It is the best time of the year. Everyone will show their love for everyone else. Family will all gather together and feel only joy. Carefully chosen presents will be appreciated. My partner is going to give me that gift I have always wanted. I am going to love going to 12 cocktail parties. I have to eat and drink all that is offered. I am going to use this family time to “fix” all our problems. I can get by with only 4 hours of sleep. This tree and my decorations are so fabulous, everyone will know and appreciate how hard I worked. It is OK to stay up until 3:00am on a work day, because I have to have 4 dozen decorated cookies. My child will not be able to survive if she does not get DaisyDoItAll Doll. Everyone else is going to parties every night, I am only invited to one. I lied to my friend and told her I was busy the night of her party, now I feel guilty. Why is everyone else have such a great time, and I am miserable? What is wrong with me? This list goes on and on. What are your expectations for the holiday time? Do you share any of the above beliefs? Your therapist may be able to help you see the connection between these unreasonable expectations and your symptoms of depression. Plan ahead, make a schedule. Only say “Yes” when you want to say “Yes”. Be okay with saying “No”. Get your regular number of sleep hours each night. Let go of Perfection, you can buy cookies at the store, eight strands of lights on the tree are enough. Prepare a neutral response to conflictual situations, especially with family members. Don’t expect anyone to behave in a way significantly different from the way they behaved last year, the holidays are not a good time to do a family “intervention” or “rescue”. Don’t expect a partner of friend to be able to read your mind and deliver the perfect gift. Create activities that you truly enjoy, even if they are outside your usual holiday traditions. Challenge yourself to set realistic goals for your holiday time. Remember, there will be things that do not go as planned. Try to enjoy the good times. Nelson Mandela had such a magical way with words. Here is a SlideShare of some of his most therapeutic, inspirational quotes. 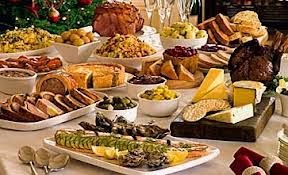 The holiday season is filled with parties and social events where food in a central focus. As we gather together with others, the subjects of how much, what, when, and why we eat are common topics. Often, a well-meaning friend or relative will use these conversations about food to bring up concerns about someone with an eating disorder. They believe talking about eating disorders with a relative might be helpful. If you are thinking about reaching out to someone you think may be struggling, it is best to educate yourself on the facts of these disorders before starting a discussion. Colleen Thompson has helpful suggestions about things to say or do when you first approach someone. She lists them in her article on www.HealthyPlace.com. Holly Scott, MBA, MS, LPC sees clients at Uptown Dallas Counseling. Holly is trained in the specialty of Cognitive Behavioral Therapy, and holds the position of Diplomate in the Academy of Cognitive Therapy. Holly works with clients to help them overcome challenges in their daily lives that may be preventing them from achieving happiness. She helps clients with stress management, depression, parenting, marriage counseling, and other mental health concerns. If you are looking for a counselor or therapist in t!he Uptown Dallas area, explore this website to see if Holly may be able to help you. To make an appointment for therapy or counseling with Holly at her Uptown Dallas Counseling, you have the option of using the Online Patient Portal to register and schedule. If you would prefer to talk with Holly to schedule an appointment, email HollyScottPLLC@gmail.com, or call 214-953-9366, to talk with her about your counseling needs. 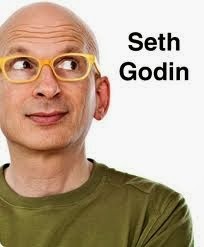 I read Seth Godin almost every day and love his work. Today’s message is so spot-on in describing a healthy way to reframe anxiety that I am copying and pasting the entire post. Enjoy. The problem with that approach is that you spend your day trash talking your leverage and impact. By actively diminishing what you’ve accomplished, you make it less likely you’ll see yourself as worthy of even bigger achievements tomorrow. In fact, it does matter. In fact, this is an important thing you’re about to do, and denigrating it undermines the very reason you’re doing this work in the first place. Here’s an alternative: It’s okay to be nervous. Instead of fighting that anxiety, dance with it. Welcome it. Relish it. It’s a sign you’re on to something. “Oh good, here comes that itch!” This is important after all. When we welcome a feeling like this, when we embrace it and actually look forward to it, the feeling doesn’t get louder and more debilitating. It softens, softens to the point where we can work with it. Use your fear like fuel. Try reading some of Seth’s other blog posts, he has some fantastic ideas.